Ryu Hayabusa: Princess Kasumi, your brother is dead. Your destiny is to lead your people. Kasumi: I will not believe he is dead, until I see his body. Ryu Hayabusa: There is no body. Kasumi: Then he is not dead. Written by Trevor Jackson and Franklin Toson, Jr. I love martial arts movies and in particular Cory Yuen films. No Retreat, No Surrender 3: Blood Brothers is a favourite. Having previously done great work with Jason Statham in The Transporter I had pretty high hopes. But I had reservations - this was a starring role for Holly Valance after all. It wasn't everything I hoped it would be. Compared to the raw energy of Crank, DOA was committee film-making as usual. Colourful and featuring plentiful (reasonable) action DOA is only interesting in the opportunities it presents to draw comparison to others. Borrowing stylistic and casting ideas from Charlie's Angels and Kill Bill, DOA is essentially Mortal Kombat and Streetfighter combined. Drawing parallels to Enter the Dragon too, there is nothing original or inventive. Kane Kosugi benefits most from the choreography. He has a sequence on a flight of stairs which is brilliant and brutal - very similar to his scenes in his Japanese breakthrough vehicle Blood Heat. Elsewhere, while the film sexes up the concept of the tournament/video game movie, it's fatal flaw is that it's heroines don't convince. In Charlie's Angels they did. Cory is notable for doing more than his share of fighting femme movies back in Hong Kong, including the recent So Close, but none are classic. 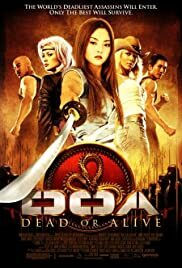 DOA should have featured support from the likes of Cynthia Rothrock and Michelle Yeoh rather than Eric Roberts and Robin Shou. The girls are pure eye candy. Only Pressley comes close to credibility - because she has an impressive physique and attitude. Holly flutters her eyes at Coronation Street's Matthew Marsden while forcing an English accent. Devon Aoki lacks charisma. 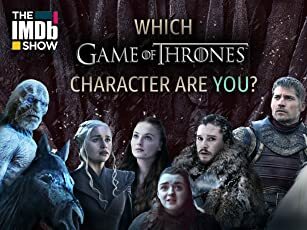 The incorporation of the video game elements such as the character intros, K.O. freeze frames etc works really well and the costume design and production design brings the game to life brilliantly. You believe in the exaggerated world and that is key. But ultimately this is little more than a time waster. A decent popcorn movie but nothing new for action fans.